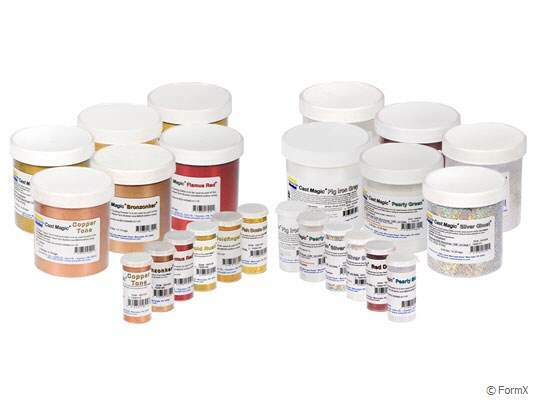 The Cast Magic® Casting System is a new and easy way to add an endless variety of bright metallic, glitter & color effects to finished castings. Cast Magic® is also good for reproducing sculpture and adding different cast effects to models and prototypes. With the Cast Magic® System, you can create spectacular casting effects in a matter of minutes vs. hours or days for hand tooling and finishing.